AXIATA is set to emphasize on profitable growth and cash focus in FY19-20 via adopting various cost transformation, network monetization and digitalization plans. Besides, the group is also aiming to achieve RM5b cost improvement over the next five years. Reiterate OUTPERFORM call with an unchanged SoP-derived TP of RM4.60. Further clarification on 9M18 core PATAMI. 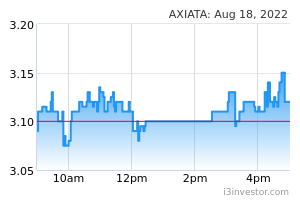 Besides providing more colours on its 9M18 report card during the annual investors' day yesterday, Axiata also shared its computation in deriving the 9M18 normalised PATAMI (at RM844m (-34.4% YoY)), which was computed after excluding one-off items as well as to remove Idea operational results from 1Q18 onwards despite the latter being de-recognised from associate to simple investment only recently in August 2018. Management also highlighted that its FY18 dividend payout (at c.85%) will be based on the said normalized PATAMI computation. Moving forward, the group remains committed to its investor proposition of ‘moderate growth and moderate yield’ and aims to re-adopt its progressive dividend policy. Shifting gears towards profitable growth and cash focus. Despite continued operational challenges, management’s long-term vision to become the next-generation digital champion by year 2021/2022 remains unchanged. However, in view of the rapid change in the global and national macro coupled with the local industry and regulatory factors, management has decided to emphasis on profitable growth as well as cash focus over the short-term (in 2-year) period. Key strategies include: (i) focus on profit growth relatively more than revenue or market share growth, (ii) spotlight on Opex and Capex efficiency, (iii) reprioritize/re-scope some investments with long payback, (iv) fund investments in new growth areas, mostly through strategic partnerships or financial investors (directly or indirectly), (v) monetize existing investments for cash and validation, (vi) accelerate structural changes (i.e. industry consolidation, network sharing and productivity), as well as (vii) impair non-productive assets. Cost transformation, network monetization and digitalization. While Celcom, XL and Robi shared their respective operational strategies, the key common approaches are to sustain and improve profitability via adopting a better capital management, monetize network investments and digitalise across functions and businesses. Besides, Celcom also shared its ambitions on cost optimization with an aim to save c.RM900m and increase its EBITDA by 25% over the next 3 years through investing in new network and digitalization initiatives. All these strategies are set to drive structural changes in costs as well as generate further savings to Axiata moving forward. Digital opportunities. Axiata also provided some updates on its digital road path, where the group’s digital unit - Axiata Digital, has three fast growing digital operations, namely digital financial services (i.e. Boost and eZCash), AdTech (i.e. ada) and platforms (i.e. Apigate) and is on track to turn each of those companies into businesses with >USD1b in EV within 5 years. Setting a RM5b cost improvement goal over 5 years. The goal of delivering RM5b is anchored around 3 functional areas (operational, structural and transformational in network & IT, Sales & marketing and other functions) in different stages. Management believes a net 300bps EBITDA improvement is likely to be achieved by FY22 after all the planned investments (i.e. new businesses and infra pillar, which are set to contribute c.25% of FY22 EV). Maintain OUTPERFORM call with an unchanged SoP-derived TP of RM4.60. We tweaked our FY18/FY19E earnings marginally by 0.5%/2%. 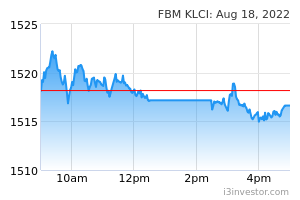 Key downside risks include: (i) keener competition, (ii) tax and regulatory challenges, and (iii) currency volatility; Upside risks are: (i) stronger-than- expected recovery at Celcom and XL, and (ii) edotco’s organic and inorganic growth.